That was one of the many emotions I felt earlier this week after I finished reading a report on Hurricane Maria-caused mortality in Puerto Rico produced by the T.H. Chan School for Public Health at Harvard University and published in the New England Journal of Medicine. The findings of the study, based on data drawn from surveys conducted on the island after the storm, indicate that nearly 5,000 Puerto Ricans died as a result of the storm. If the study’s findings prove accurate, and there is little reason to believe they won’t, Hurricane Maria will go down as the deadliest natural disaster in America in more than a century, and the deadliest in the island’s history. After months of hearing officials on the island and in the Trump administration claim that fewer than 70 Puerto Ricans died as a result of Hurricane Maria, the Harvard study’s findings were a proverbial, if not entirely surprising, gut-punch. One cannot help but feel a deep sense of compassion for those thousands of Puerto Ricans who died and the families and friends who struggled to keep them alive in the face of terrible circumstances. Social media platforms this week were flooded with gripping stories of pain and suffering, government incompetence and indifference, and individual selflessness and sacrifice. But the pain of these stories of loss soon turns to rage. Rage at a federal government that failed to adequately prepare for the storm and then failed again to respond quickly enough to limit the terrible aftereffects of the winds and rains that shattered the island. When history looks back at the Trump administration’s response to Hurricane Maria it will judge the president and his officials more harshly than any government in America’s fraught relationship with Puerto Rico. The record is clear, President Trump’s twiddled his thumbs while his fellow Americans were dying by the thousands. There is rage too at the local government officials in Puerto Rico who failed to hold federal officials accountable for the disaster unfolding on the island in the weeks and months after the storm. As if this misguided obeisance wasn’t bad enough, the local government compounded the problem by failing to share mortality data with local institutions on the island and researchers outside of it like the Chan School of Public Health team. This lack of transparency by local officials not only deprives us information we need to prepare for the future, but also breeds public contempt for government. Gov. Rosselló has indicated that he will hold officials accountable for any attempts to hide data from researchers. His constituents will hold him to that commitment. Of course, rage won’t restore Puerto Rico’s families. It won’t bring back the fathers and mothers, brothers and sisters, sons and daughters who perished. But let’s not dismiss the value of rage. Martin Luther King once noted that we should not suppress rage but instead “vent it constructively.” What does that mean in the case of Puerto Rico? For us at Hispanic Federation it means helping to gird the island for the storms that will surely come. 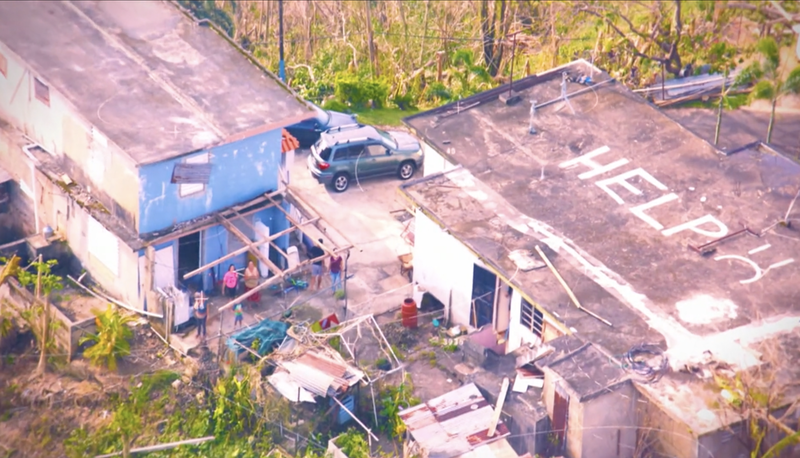 We know from the Harvard study that “interruption of medical care was the primary cause of sustained high mortality rates in the months after the hurricane.” That’s why we have launched multi-million dollar projects to support capital and infrastructure repairs for federally qualified health centers (FQHCs), nonprofits that mostly serve low-income people in Puerto Rico’s rural areas, in addition to supporting the Clinton Foundation’s Solar Saves Lives initiative to fully solarize FQHCs and other clinics located in different parts of the island. We know that ours is just one drop in the bucket. But it’s still more than the federal government has done to try to ensure the entire healthcare system does not collapse again when the island’s antiquated power grid inevitably does. Sadly, we have little faith that Congress, which has been slow and seemingly unmoved by the disaster on the island, will do much to help Puerto Rico prepare for the new hurricane season, which began June 1st. In response, Hispanic Federation has ramped up its civic education and engagement campaigns in Puerto Rican communities across the mainland. If Congress won’t listen to Puerto Ricans on the island maybe they will listen to the thousands of Puerto Rican voters who will head to the polls this fall in states like Pennsylvania and Florida. Voters who will hold elected officials responsible for their foot-dragging and ambivalence. Voters who will, with a nod to Dr. King, vent their rage constructively at the ballot box.